Feature| Infinity Nado tops: The prefect way to bond with the family! LATEST CRAZE. 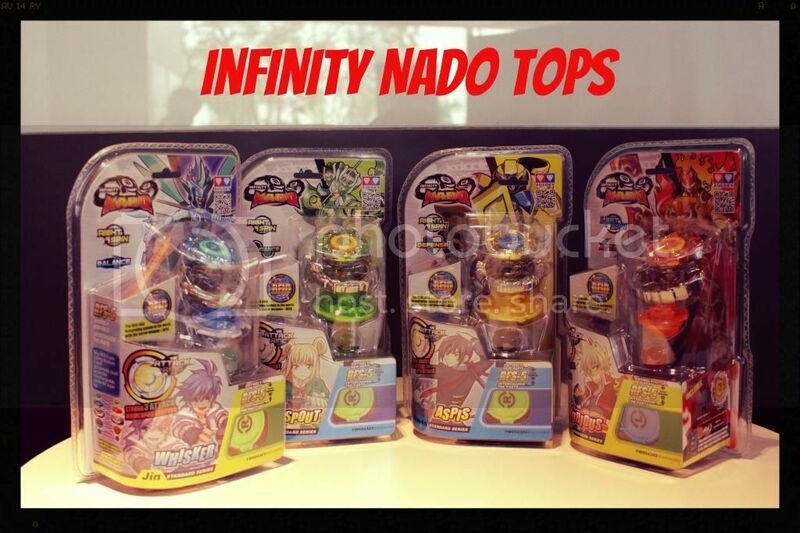 Infinity Nado tops are all set to be the newest toy craze in the country. 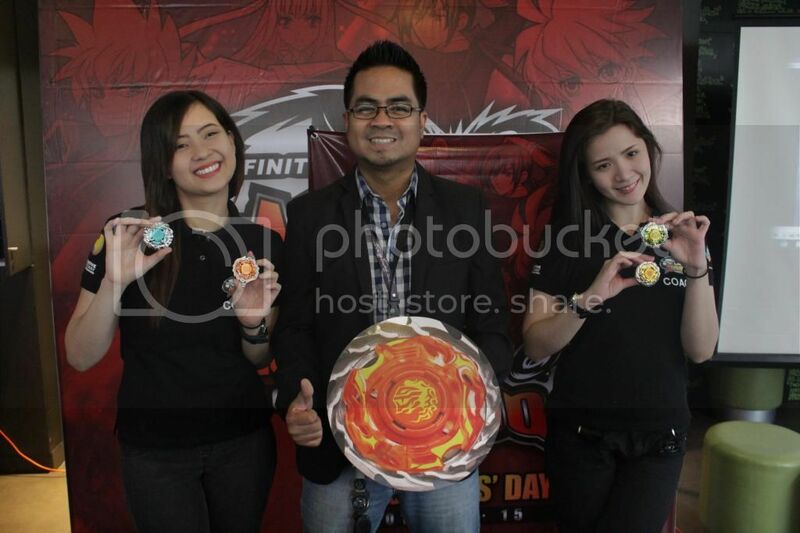 Meet your lovely Nado coaches: Coach Jessica, Coach Gem and Coach Angel and as they show you how to be a top Infinity Nado player. Are you ready to spend valuable time with your kids without the use of gadgets? Look no further! Spin to Greatness with the Infinity Nado! This is the newest game that has been making waves all over Asia and the rest of the world is finally here in the Philippines. Take that time away from PC's, consoles and tablets and get into real action with Infinity Nado! Infinity Nado takes gaming to a whole new level with its precision fighting tops that feature the latest in battle technology. Made by popular toy-maker Auldey, Infinity Nado tops are designed using advanced physics that revolutionizes and increases game play and competition. The digitally advanced top is based on a popular Anime series of the same title that focused on battle, justice, & friendship. The story features the adventures of Jin and his mates as they enter the center of the Gyro-type tower to stop its rotation and overcome the evil forces to save the world. The hit Anime series currently airs weekdays at 9:30am on TV5. So your kids get to play the game and experience the anime series at the same time. The games are likewise built on the same principles promoting non-stop, action-packed fun. Its tournaments and regularly sanctioned competitions have been happening in different parts of Asia and the rest of the world, gaining more fans and gamers, young and old alike, all eager for a NADO battle. Built for strength, stability, and speed, Infinity Nado tops are mechanical spinning wonders perfect for tinkering, thrill-seeking tots. It is composed of five interchangeable layers that manipulate the top’s center of gravity. This makes for precision control whether you wish to play at a lightning-quick pace or a hard-nosed attacking style. Infinity Nado’s sophisticated gameplay features the world’s first RFID (Radio Frequency ID) smart chips that store fight stats and data using a state-of-the-art digital scanning system. The smart chips store gamers’ personal information and keeps real-time track of level certification, accumulated score, and fight history. Setting up the Infinity Nado is easy. Follow the directions on how to piece together the parts. Once assembled, activate the digital scanner, by yourself through a personal computer or with the help of Infinity Nado coaches who will be touring different toy stores in Metro Manila to spread the good word about Infinity Nado. After that, you can start keeping tabs on game history and progress to earn points to steadily climb up the ranks. Infinity Nado Coaches Jessica, Gem, and Angel will be visiting major malls to interact with gamers and help newbies find out the ins and outs of this new and thrilling game. They will also be on hand to award serious gamers with their very own Nado Passport, a badge that serves as entry to sanctioned tournaments and into the world of Infity Nado- this will make your kids feel like they belong! There will be weekly and monthly competitions where avid gamers can meet and bond. Not only that, but competitors also stand the chance to take home a brand new car if they win the Infinity Nado’s grand battle. Kids are happy an you also get to benefit from the fun as parents. Mix and match your Infinity Nado parts to stay on top of the class. Watch out for Infinity Nado spinning tops such as the Infinity Nado Aspis, Infinity Nado Jester, Infinity Nado Cyan Spout, Infinity Nado Furious and more. You can now grab your Infinity Nado toys in Toy Kingdom, Toy Town, Toys R’ Us and other toy stores in Metro Manila. The Infinity Nado tour kicks off this weekend of January 31 and February 1 with a visit to Megamall in Ortigas Center, Pasig. The team will soon visit major malls near you, so watch out and keep those tops spinning until then. Get in the Fun! Like its Facebook page at www.facebook.com/infinitynadoph and keep posted to find out more details on Infinity Nado products and information about their weekly and monthly tournaments. Brings out the inner child right? Hehe. If boy was older, I would get one too! Sarap lang ng may baby boy. If only I have one! hahaha! Puro girls kasi ang babies ko and they collect ponies and monster high dolls naman.. hehe!! Hahahaha uu nga naman. :) I love ponies! Well I'm sure it will be around long enough for your baby boy to play in the future. :) My boy too is a little too young for this. Hehe. I am glad that the toy industry keeps on innovating and making toys that require physical activity and social interaction. We live in a gadget-dominated world na kasi e.
They remind me of Beyblade, too! My Yuri's still too young for them, but I want to check them out (*ehem* for myself *ehem*)! Wow, something to keep the kids busy 😀! Yes! Exactly the point of mommy hood, keep the kiddos busy hehehe. This is another interesting toys for kiddos! Summer is almost near, good to consider to keep our kids busy.